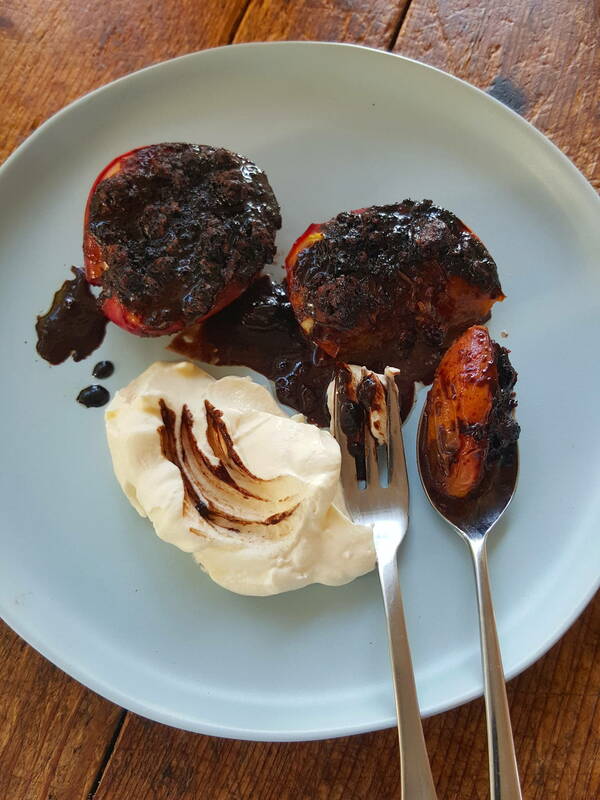 Nectarines baked with chocolate amaretti topping ... Wow! Amaretti are bitter-sweet crunchy almond biscuits. Cocoa makes the topping very dark, but it gives a gorgeous flavour to the amaretti topping. 1 Put the amaretti biscuits in a bowl with the sugar. Sieve the cocoa powder over, then add 2 tablespoons of the wine and stir together. 2 Cut fruit in half through their natural indentations, twist, then pull apart and extract stones. Lay fruit in a shallow baking dish line with baking (parchment) paper, cut side up. Put a teaspoonful of the mixture in the cavity of each half piece of fruit, then top with a small pat of butter. Pour the remaining wine over the top of the fruit. 3 Bake in an oven preheated to 180°C (350°F) for 20-30 minutes, or until the fruit is tender. Serve warmish with yoghurt, cream or ice cream. Nothing wrong with a hash cake for dinner! Feeling a little Frenchy number coming on ... try this classic quiche and aim for the perfect wobble!